my baby girl is trying her best to fall asleep near the foot of my bed. I've been up for an hour. 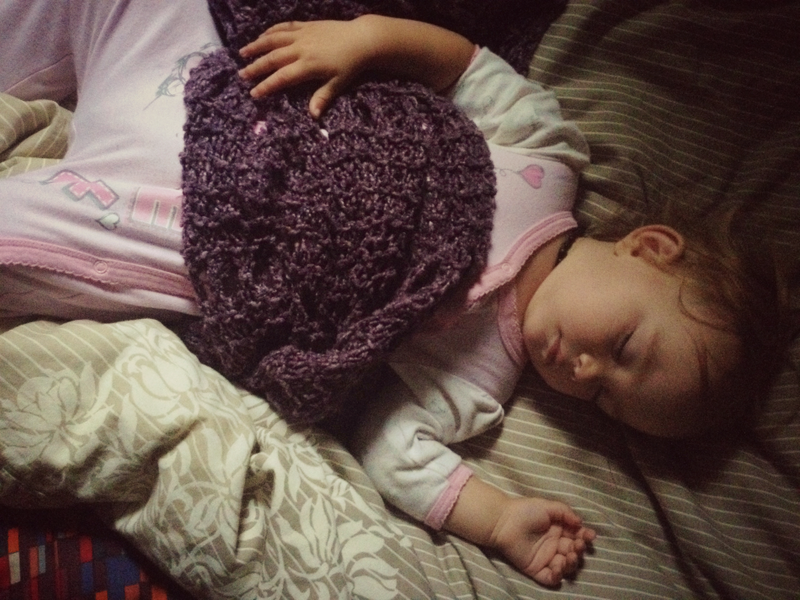 I nursed her and her father took her sleeping little body off to bed. Then, I curled up comfy in my duvet and started my journey back to sleep. It didn't last long. Minutes later Isla threw herself into a tizzy and Ben answered her call. He snuggled her close, wrapped her in blankets and rocked her. Eventually he had her practically asleep against his chest on the couch. Then, I had to pee. That sweet little girl who I thought was sleeping noticed me walk into the bathroom and was no longer okay with her sleeping arrangement, silly girl. So I brought her into the room and after a few moments realized she would likely to better if I just let her lay on the bed beside me, rather than against me. She quickly settled in on top of my down duvet, squirming and flapping like a little bird trying to find the best position and location. Rubbing her chin with her blanket. Occasionally she lets out a squawk and I "shh shh shh" her back to sleep. Now she sleeps near the foot of my bed. I'm not sure if sleep is on its way to me though. I think someday we may need to invest in a bigger bed.